Rajiv was formerly a Partner at McKinsey & Company, where he was responsible for the leadership development of McKinsey’s 1,500 Partners globally. In this role, Rajiv led multiple learning program redesign efforts and was one of the highest rated program faculty in McKinsey, having worked personally with hundreds of consultants on helping them develop their problem solving and relationship building skills. 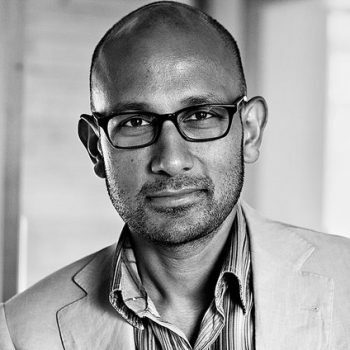 Rajiv is now a Partner at THNK, the Amsterdam School of Creative Leadership and a lecturer at the Haas School of Business at the University of California, Berkeley, where he lectures on various leadership topics. With an international upbringing – Indian parents, born in the UK, brought up in Zambia and having lived and worked in Ghana, Switzerland and now, The Netherlands – Rajiv’s mission is to enable global leaders to fully unlock their leadership potential. Rajiv is also part of the Amani Institute Advisory Council.